We cordially invite you to visit Oregon and the Oregon MBA. See with your own eyes whether what we say about ourselves matches up with what you see and what you need. In fact, you should do the same with every school on your short list. Visiting us is also a great opportunity to bolster your application and allow for our admissions department to get to know you personally. Please let us know if you wish to come and when you might be available. We’ll set up an itinerary. If you have any questions please feel free to contact us anytime. If time, distance, or cost gets in the way of a personal visit, at least begin a conversation by filling out our request information form. What will happen during the visit? Campus visits are normally held October to May, Monday-Thursday, between 8:00 a.m. and 2:00 p.m., while classes are in session. If these times do not work for your schedule, we may be able to arrange an alternate time. 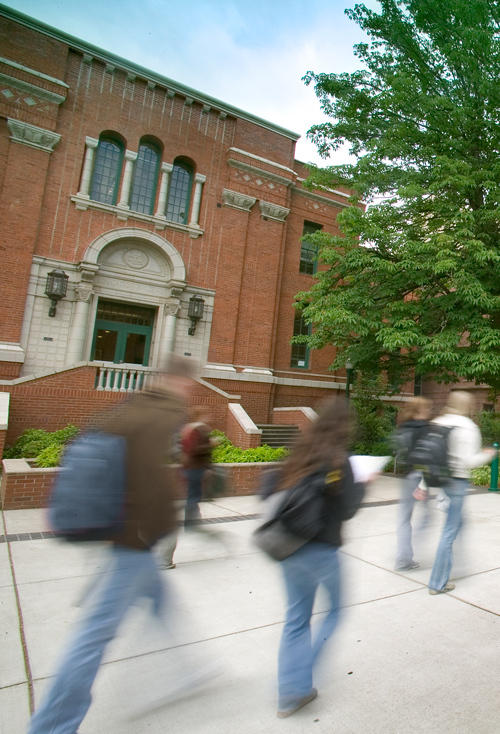 To schedule a visit to the Oregon MBA, contact 541-346-3306 or mbainfo@uoregon.edu.